Is your hair dry and weak? Do you wish you had silky and shiny hair? With the whipped Shea butter you can now have the hair of your dreams! The natural extract of Shea will hydrate your hair and make it manageable, soft and healthy. Use whipped Shea butter as a hair treatment regularly and soon your hair will look like it came out of a magazine ad! Blemishes, acne scars, eczema, hyperpigmentation. Don’t you just hate these skin problems? But don’t despair! The nourishing vitamins of Shea butter have to power to regulate the pigmentation and eczema of the skin so as to make it smoother and clearer. 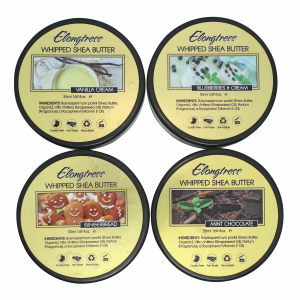 The whipped Shea butter cream will make your face clear and imperfection free! Do you long for more youthful skin? It’s not impossible! Elongtress can help you make those wrinkles and fine lines disappear! Our whipped Shea butter will moisturize your skin and increase the collagen production. Your skin will be rejuvenated, softer and more elastic. Shea butter is the most natural anti-aging formula and you should definitely give it a chance! 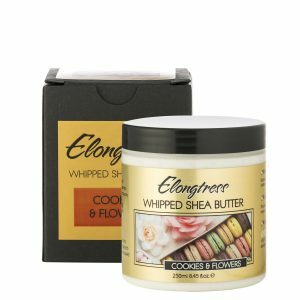 The absolute best quality ingredients are used in producing Elongtress Whipped Shea Butter including Butyrospermum Parkii (Shea Butter, Organic & Unrefined), Vitis Vinifera (Grapeseed Oil), a-Tocopherol (Vitamin E Oil). 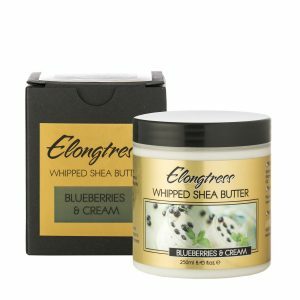 The Elongtress whipped Shea butter cream is made with 100% natural ingredients and without any fragrance, it is so safe that you can even use it to soothe your baby’s diaper rash! The creamy skin moisturizer gets hand whipped with grapeseed oil and it is free of hazardous chemicals and harmful additives. So you can use the natural Shea butter daily without any worries! 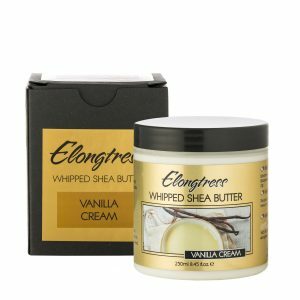 There’s nothing that the Elongtress whipped Shea butter can’t do! Use it regularly and your skin and hair will become moisturized and healthier. And if you’re not satisfied with the miraculous results, we will refund you! Thanks to our 30-day money back guarantee, this is a risk-free purchase that you shouldn’t miss out on!